The western territories' borders were still developing. The borders of Nevada, Arizona, and Utah are not yet those of today. Several counties still extended into both Arizona and New Mexico. 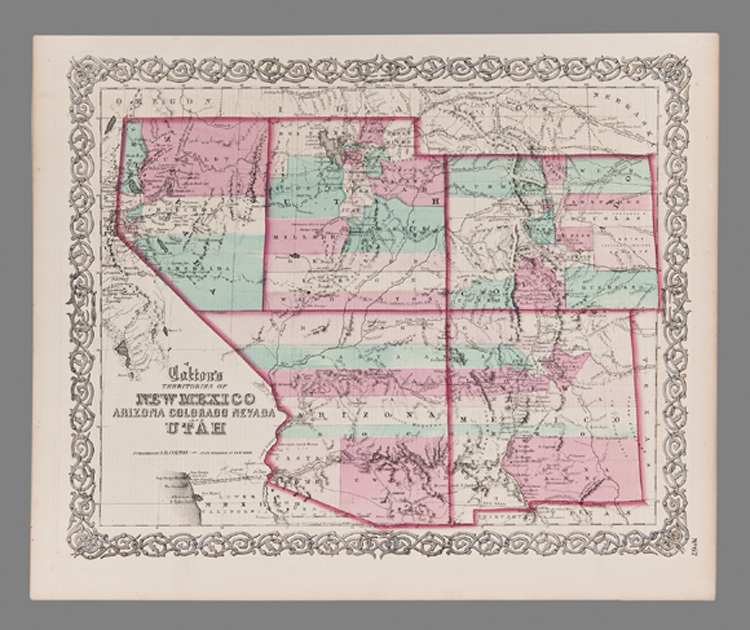 This hand-colored detailed commercial map included explorers' routes, major commerce trails and routes, tribal affiliations, proposed railroad routes - all part of New mexican and western development. 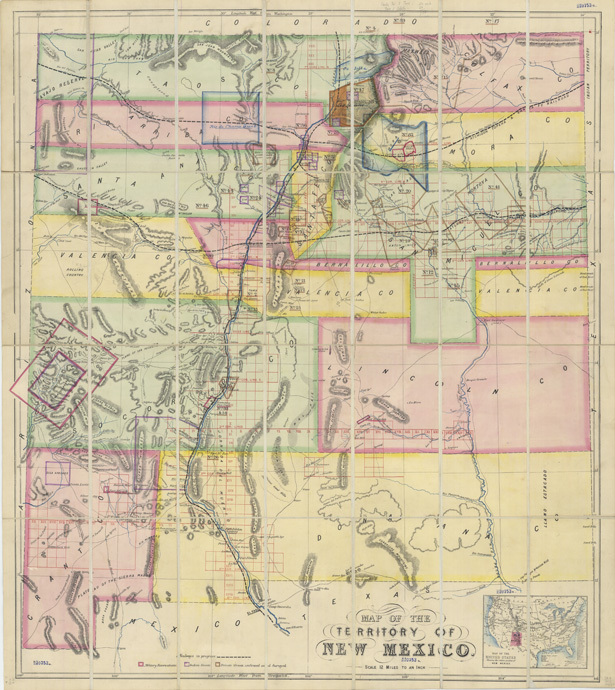 Surveyor William Morley of Cimarron, New Mexico, created one of the earliest maps showing only the territory of New Mexico in its current shape, pointing out the boundaries of private land grants, military and Indian reservations, public surveys, and proposed railroads. 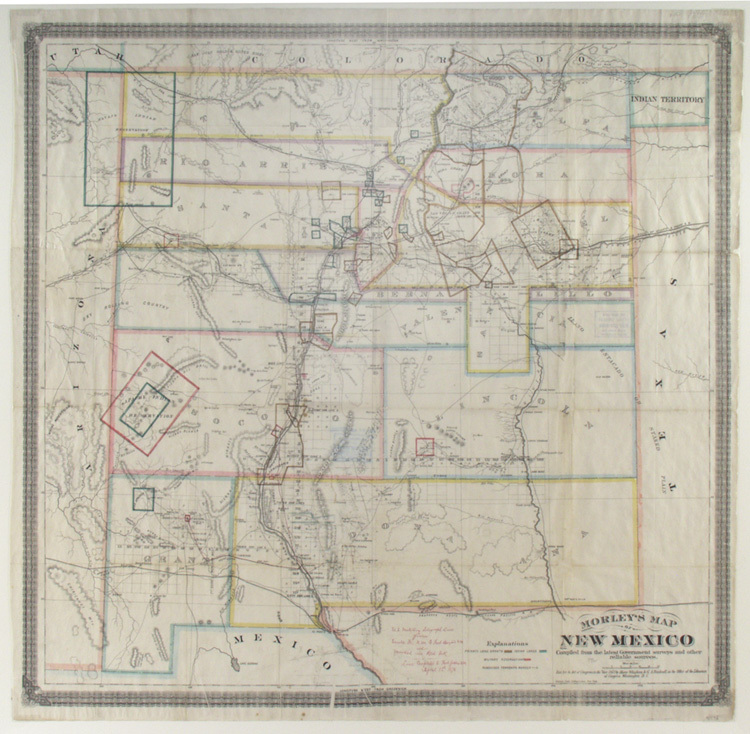 The map was an important tool for the settlement and development of the New Mexico Territory, including land-grant issues. 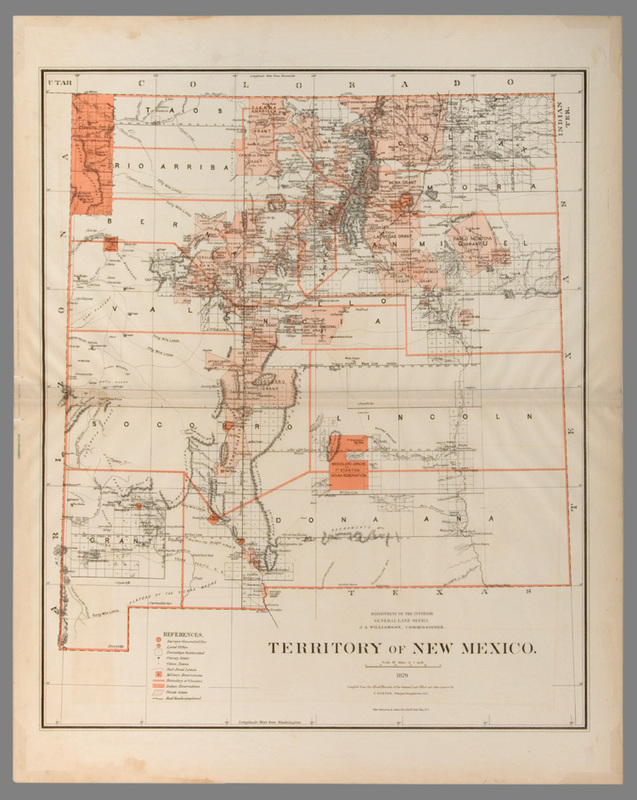 This map of the New Mexico Territory produced by the General Land Office provided specific topographical and Indian reservation details, settlement and land-use information, county seats, and cities and towns before the arrival of the railroads. Charles Roeser was the principle draftsman who also produced maps of Minnesota, the Dakotas, and other territories and states. The United States government issued this map after taking possession of large parts of the Southwest, which then encompassed what is now Arizona and most of New Mexico, with parts of Texas, California, Utah, Nevada, Oklahoma, Sonora, and Chihuahua. No clear borderlines were established at that time. Richard Kern, a veteran explorer-artist of New Mexico and the Southwest, drew this map under the supervision of Lt. John G. Parke from the Topographical Engineers. 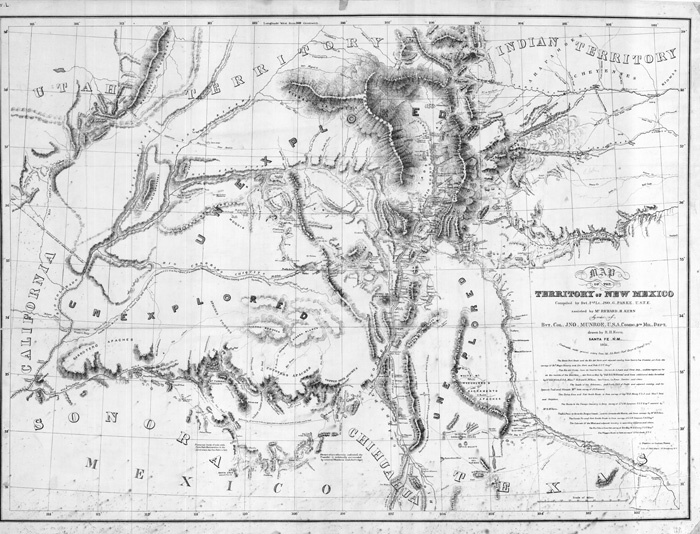 It replaced Lt. J. W. Abert’s 1847 map as the basic compilation of geographical information on New Mexico and was distributed among the officers heading for the Southwestern frontier region. While New Mexico’s external boundaries were relatively established by the 1870s, the counties and their borders were still subject to adjustments. This colorful map displays counties and land-grant boundaries. To put New Mexico’s geographical size and location in proportion, the English publisher added an insert map of the United States.